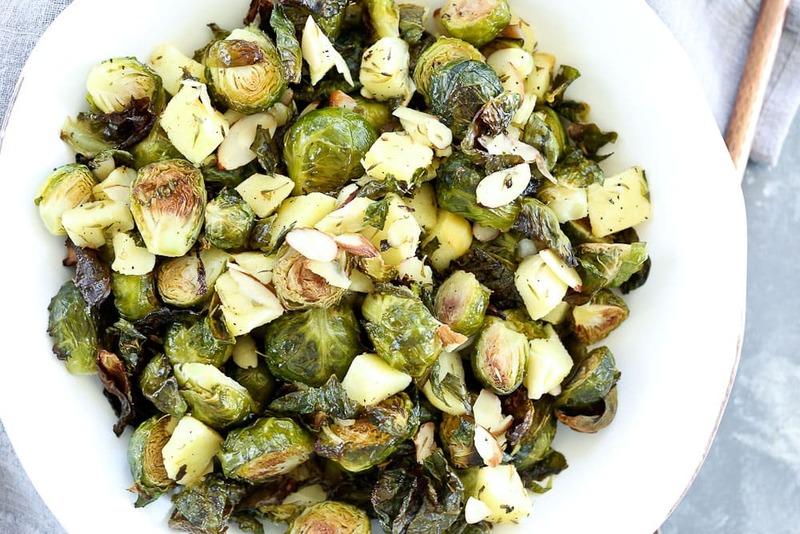 This Roasted Brussels Sprouts with Apples and Almonds recipe will become a staple side dish for you! Heads up! This recipe was first published in 2011. Photos have been updated and I’m republishing it now so newer readers can find it. Enjoy! So, let’s review for a minute here. This week I’ve posted a recipe for tempeh and now brussels sprouts. I’m not trying to scare you away, I promise. Think of it as broadening your horizons. Here’s the thing. I had never even tried brussels sprouts until last year. I don’t recall my parents ever serving them when I was growing up (and if they did they didn’t make me eat them). They don’t exactly have a stellar reputation as the tastiest of foods, so I was never compelled to buy them once I was on my own and cooking for myself. Then I started seeing recipe after recipe for roasted brussels sprouts, many that touted their superior nutrition, and I thought, “Why not?” I’ll try anything once. Okay, that’s not totally true. But brussels sprouts seemed harmless enough to try. Something wonderful happened the first time I made roasted brussels sprouts. Not only did I love them, but Tim did too and they quickly became one of his favorite vegetables. Please understand, my husband is not a vegetable-loving man, so this was HUGE. He’s the guy who will order a steak at a restaurant and eat every last bite, but leave the vegetables on the side untouched. You better believe old roasted brussels sprouts became a main-stay on our menu. If you haven’t yet tried brussels sprouts, you need to give this recipe a try. OR, if you have only tried brussels sprouts cooked some way other than roasting, you also need to give this recipe a try. 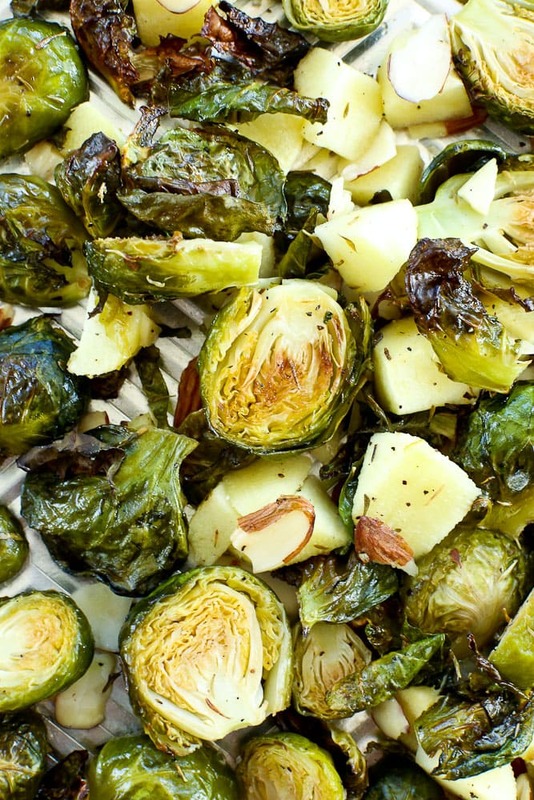 Roasting is the tastiest way to cook a lot of vegetables, brussels sprouts included. They get all brown and caramelized and taste amazing. And I don’t use the word amazing lightly. With cold season approaching, this is the perfect time to add brussels sprouts to your dinner menu. They also make a great holiday side dish. One serving will yield you over an entire day’s worth of vitamin C! They are also high in vitamin K, vitamin B6, folate, iron, potassium, and manganese. Eat up! Brussels sprouts are roasted to caramelized perfection with apples and almonds in this healthy side dish! In a small dish, mix together the olive oil, thyme, salt, and pepper. Put your brussels sprouts on a baking sheet. Drizzle the brussels sprouts with the oil mixture and gently toss to evenly coat. Roast the brussels sprouts for 15 minutes. Remove from the oven and add the apples and almonds. Return to the oven and roast for an additional 10 minutes. Enjoy! 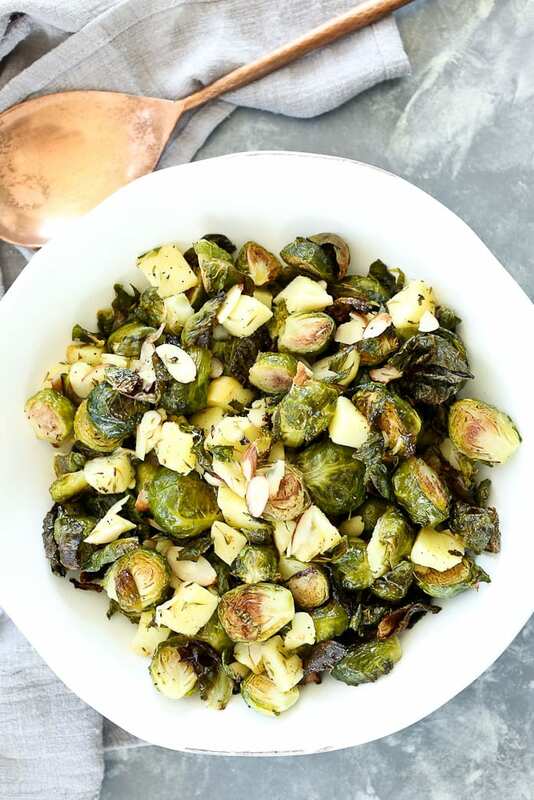 If you make this Roasted Brussels Sprouts with Apples and Almonds recipe, or any Happy Healthy Mama recipe, I would LOVE to see it! Please take a pic and share it on Instagram or the Happy Healthy Mama Facebook page and tag me @happyhealthymama ? I keep seeing recipes for roasted sprouts. I think I need to try them! And, they are in season right now. Which is enough to make me buy them. My family absolutely loves them, too. Roasted, of course, is the way to prepare them. We like them best with olive oil, salt, pepper, and maple syrup. SO yummy! I remember the first time I ate brussels sprouts. I thought, “So, this is what people have been ‘feeding the dog’ for so many years? ….They’re good!!! !” Lucky dog! This recipe seems like all those flavors would come alive and be simply delicious! Creative and delicious! YUM. I love love love b sprouts so I’m excited to see all of the bloggy recipes for roasted ones coming up! Love the addition of almonds and apples. I’ll definitely be trying this! I am a big fan of anything roasted, including brussels sprouts! This version sounds delicious–I might have to stray from my usual preparation of them to try this! YUM!!! I normally just chop them up and throw them in salad in order to sneak them past Mario. I hope he’s going to love them! 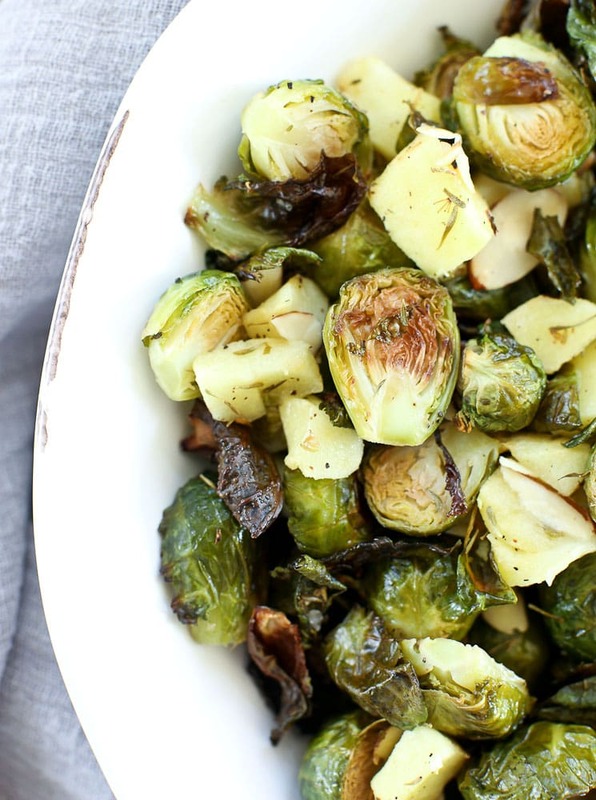 Brussels sprouts are my favorite veggie and roasting them is the best way to prepare them. Great recipe! This is the closest brussels sprouts ever come to candy. For real. Perfect timing! I just got brussels sprouts in my produce delivery box yesterday! 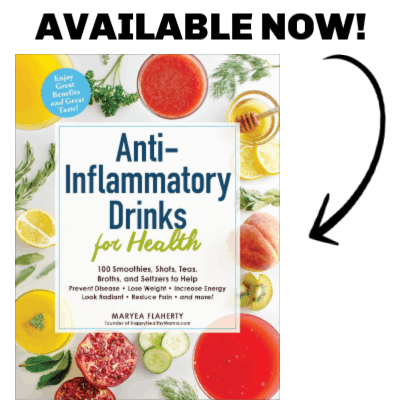 I have never made them, either…sounds like a perfect recipe to try them out! Your brussels sprouts look fantastic!! They are so healthy and I bet the apples and walnuts make great additions to the dish. What a flavorful combination! Your recipe is next on my list!